Running out of battery has become an all-too regular occurrence for most people with a smartphone. So imagine if you could recharge it in seconds. Or if you could recharge an electric car in the same time it takes to fill up a petrol vehicle. It would probably make owning one much more attractive. Well, my colleagues and I have developed a new material based on soft contact lenses that could make this a reality by making traditional batteries a thing of the past. Instead of developing a battery, we’ve been working on a device called a supercapacitor that can charge and discharge its energy much more quickly. Supercapacitors are already used in lots of applications, even in some electric buses in China. The problem with supercapacitors is that they don’t store much energy, so need to be recharged frequently. So the Chinese bus has to make a lot of stops. Working with Ian Hamerton of Bristol University and Augmented Optics, we developed a material that is far more efficient than those used in traditional supercapacitors. The technology hasn’t yet been developed into a working device but, if futher work proves successful, there would be lots of applications across transport, aerospace and energy generation, as well as household applications such as mobile phones, laptops and flat-screen electronic devices. Batteries store energy through chemical reactions that alter the material making up the battery by moving around charged particles known as ions. It takes time to produce and separate these ions, which is why batteries are slow to charge and discharge. The most common battery in use at the moment, the lithium battery, uses ions of lithium to store the charge. Lithium is a rare and expensive element and there have been recent prominent cases of lithium ion batteries catching fire. Supercapacitors, on the other hand, charge and discharge rapidly because there is no chemical change. Instead they involves a change in a magnetic property of the material’s atoms known as polarisation. While supercapacitors typically store just one tenth of the energy a battery does, our new material can store between 1,000 and 10,000 times more energy for its size than conventional materials. This means they can store even more energy than lithium batteries. Like a battery, a supercapacitor is basically made from two electrodes that hold the charge with a filling of some material. Research on improving supercapacitors has so far mainly concentrated on improving the electrodes by making nanostructured carbon materials that have lots of tiny filaments. This vastly increases the surface area of the electrode compared to a flat material – but also adds to the expense. Instead, we have concentrated on improving the filling, making materials that are also supercapacitive. The materials in question are based on those used for soft contact lenses, which are flexible, transparent and take up water, and were first developed 40 years ago by Donald Highgate. These materials are sometimes called gels but this isn’t really accurate because they can’t dissolve like gels. They are actually chains of plastic molecules that are chemically bonded together to form a cross-linked network. The network is loose so it allows water to enter and swell the material, but they don’t conduct electricity. We were able to combine these materials with a conducting polymer, which by itself is fragile, dark coloured and insoluble in water. The combined material is flexible, conducts electricity and can take up water, which is important because it will stop the material catching fire. We’re now hoping to work with a company called Supercapacitor Materials to build a working demonstrator by optimising how we manufacture the material. We then want to get the supercapacitor into electric cars, first alongside batteries to increase how long the vehicles can go with out recharging, but eventually as a replacement. This would make charging your electric car far easier than charging your phone is right now. The author of this article is Brendan Howlin, Senior Lecturer, University of Surrey. This article was originally published in The Conversation under a Creative Commons Attribution No Derivatives license. Read the original article here. Provides an overview of rechargeable lithium batteries, from fundamental materials, though characterization and modeling, to applications. The market share of lithium ion batteries is fast increasing due to their high energy density and low maintenance requirements. 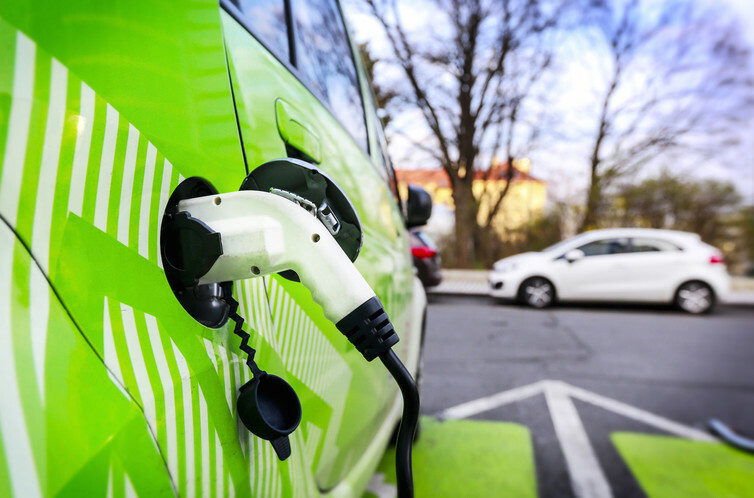 Lithium air batteries have the potential for even higher energy densities, a requirement for the development of electric vehicles, and other types of rechargeable lithium battery are also in development. For more information, or to order click here. Energy Storage discusses the needs of the world’s future energy and climate change policies, covering the various types of renewable energy storage in one comprehensive volume that allows readers to conveniently compare the different technologies and find the best process that suits their particularly needs. These books are available on the Elsevier Store at 30% off the list price with free global shipping. Apply discount code STC317 at checkout.